anguage is a very imprecise tool. But also thanks to it the evolution of apes resulted in an Aristotle, Michelangelo and Fangor. Still, however, we struggle with ambiguities, gaps, misunderstandings. Often, we ourselves are to blame, because the economics of language causes simplification of a lot of things, eliminating what is not commonly used, similar to something else, etc. Such, for example, "DAC" - on one hand, we know what it is, if only we have anything to do with audio, on the other... DAC stands for "Digital to Analog Converter". However, it actually has two meanings: it's a means to convert digital signal to its analog form, usually a small chip, and the second meaning is the whole device used to convert digital signal to analog one of which this small chip is the main component. Hence we are talking about two different things here. DAC which is an element (chip) converting digital signal to analog and it is a part of the device that converts digital signal to analog. 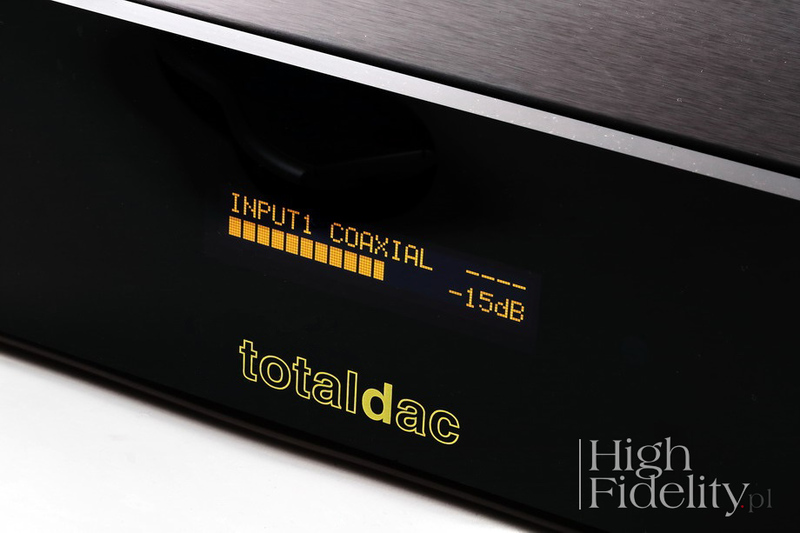 But in order to being able to convert signal and make it useful for the audio system, "Dac" has to be surrounded/supported with other circuits and components. Typically, in the input stage there is a digital receiver. Almost always it is a chip of one of the specialized brands, such as: Burr Brown, AKM, Analog Devices. Sometimes a programmable DSP is used instead with its own software written by the DAC's manufacturer. The receiver works as sort of “interpreter” of the input signal for the DAC chip. If the device features USB input it is followed by a specialized receiver that converts USB signal to PCM, which is “understandable” for the D/A converter. Often, especially in recent times, between the receiver and the converter one places digital filters, for example, upsampler ("Sample Rate Converter") that converts 16-bit words to 24-bit (this is how the K2 used by Reymio works, as well as the Advanced al32 by Denon), or to DSD signal, or, finally, a DSP with implemented filters. 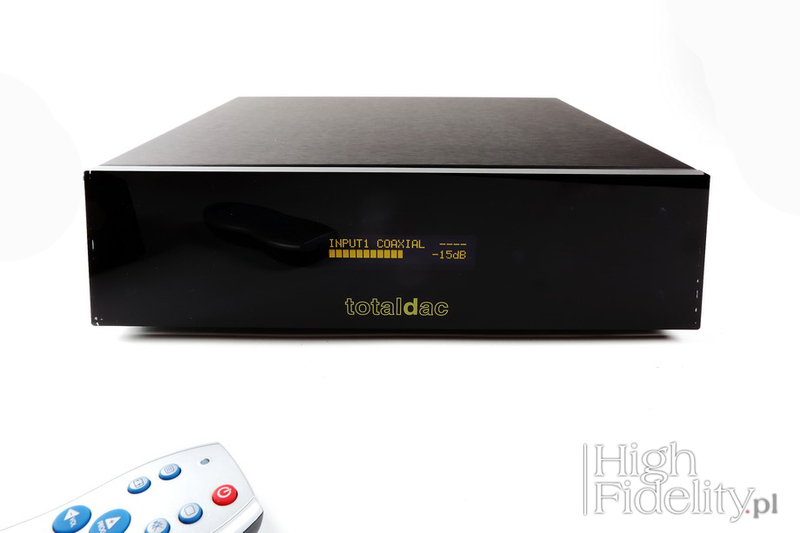 DAC is also almost always a chip from one of the above listed expert manufacturers, that was joined few years back by the current leader of the market, the ESS Technology with their SABRE32 DAC. This is an eight-channel system, ready for use in multi-channel systems, which can, however, be turned into a stereo one, by combining four parallel channels. This provides a significant reduction in distortion, higher signal-to-noise ratio, etc . ; Accuphase, for example, achieves the same using a few, stereo chips. After signal is converted in DAC it is further processed in the analog domain. First, the current signal is converted to a voltage one, because it's the only kind "understood" by the preamplifiers and power amplifiers. This is called a I/U converter, or a current/voltage one. Usually these are active systems, but sometimes the purist designs feature passive one. And finally there is a gain section and output buffer reducing output impedance. This section is made either by means of integrated circuits, or transistors, or tubes. At the very end of signal's path there are output jacks. As you can see, the possibilities are plenty, and apart from the said DAC section there are also other elements, such as: oscillators, power supply, enclosure, assembly and so on – a designer must demonstrate creativity, skills, and have his own idea; he can make mistakes in each of the mentioned elements. d1-single-mk2 is a digital-to-analog converter with variable output (in the digital domain). It is a simplified version of d1-six - instead of three, working in parallel, discrete converters per channel, there is one. This is an unbalanced device and in the XLR output only the “hot” pin is active. But the idea is the same as for the other converters of this brand: instead of a small of-the-shelve chip from an external company, designer uses discrete circuitry, with precise, metalized resistors, switched by integrated circuits. This is so called: R2R DAC. The signal is prepared for it by a programmable DSP, that performs re-clocking and that also features (two) digital filters, including one without oversampling. The user can choose which one suits him best. The digital signal can be delivered to DAC using one of the four inputs, including the asynchronous USB. All of them accept PCM signal up to 24 bits and 192 kHz. Manufacturer offers an optional DSD (DoP) functionality for all inputs at extra cost. 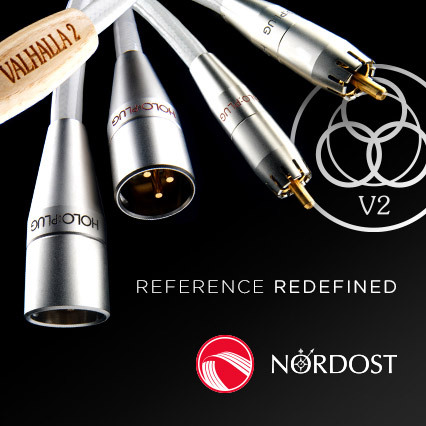 d2-single-mk2 and d3-single-mk2, 69 bit 2 way or 3 way active crossover with RCA analog outputs including a digital preamp for the main volume control and also for the relative level between bass and treble. The crossover slope can be 6dB/oct, 12dB/oct or 18dB/oct. All parameters, crossover frequency, filter slope, relative volume, main volume, relative digital delay... can be controlled from the remote while listening to music. bass boost might be added that is useful especially for users of loudspeakers with a single fullrange driver. One of the things we get as sort of bonus is a headphone amplifier. 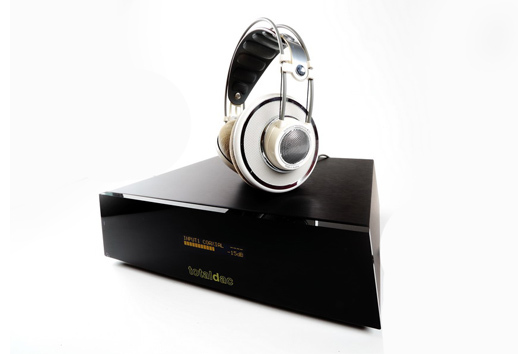 Headphone output, placed on the rear panel, is suitable for cans of impedance between 32 and 600 Ω; it will provide maximum signal of 3 V.
WOJCIECH PACUŁA: d1-single-mk2 replaces d1-single? VINCENT BRIENT: No, it's not like that – it's a completely new converter that now is an entry-level product in our range. It replaces d1-core. What are the differences between d1-core and d1-single-mk2? d1-single-mk2 features completely new output stage. It is still a Class-A stage based on transistors but topology has been change resulting in a different sound. I also introduced many other changes in the digital section but these are not as significant as the one in the output. Also headphone output features transistors in Class-A but now its output impedance is lower. So one can use different headphones without a risk or running out of power to drive them. How do you minimize jitter? I don't use oscillators working in USB and S/PDIF inputs. I generate a completely new signal using asynchronous process performed by FPGA (FIFO). As a result sound is more natural, without any “metallic signature” of the sound present in a performance of many other D/A Converters. If the quality of high-end device is to be measured by a difficulty in determining its own character, at least initially, the new Vincent's DAC excels. Moving from an integrated CD player Lektor AIR V-edition to the d1-single-mk2, sound character took a different direction. But I had to listen to several tracks to get some idea, that I could later elaborate on and observe. It was easier after replacing a two-box CEC Player (TL0 3.0 + DA 3.0) with totaldac as the differences were more significant. But even after realizing actual differences between these devices, the nature of the French unit was not at all so clear, as it usually is with other devices. The first sonic feature of the d1-single-mk2 is the transparency. It's this kind of transparency that acts as sort of a "window" giving us better insight to the recording, not impoverishing the sound, but rather enriching it by a very good tonal, dynamics, transients presentation, by rendering a reliable, large soundstage. The second feature is differentiation. At the same time as d1-single-mk2 I also got to review two other fantastic D/A converters, representing different price ranges: Exogal Comet Plus and CEC DA0 3.0. It may not be an objective truth but it is certainly my truth, that among these three totaldac was the most difficult to understand, describe and evaluate. A differentiation that I mentioned focused mostly on the resolution and tone; dynamics was always high, and the soundstage quite big, mostly deep, not enveloping the listener. How did this differentiation manifest? First of all by precise presentation of all microphone setup's changes, in clearly presented different recording methods, choices made by producers and sound engineers and limitations of both, recording and studio.